What are the differences between a bottle of premium, high rated Pinot Noir and a shelf classic Merlot? Well, besides a lot of money, wine critics would be quick to detail all the subtle differences that come together in an amalgam of sensations, and consequently make the premium look like a divine gift from Dyonisis himself. For the rest of us mortals however, these differences might often not be felt, other than a lighter wallet. 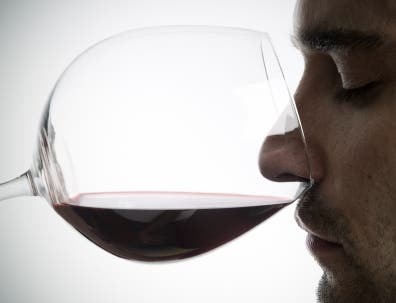 A recent study published in the American Journal of Enology and Viticulture comes to the conclusion that top wine critics have the ability to taste subtle flavors and chemicals that allude the masses, offering them an inherent biological advantage. In short, top wine tasters sense wine much differently from you or me would, so you shouldn’t care. With this is mind, is it worth then spending a lot of money on top wine brands, whose prices are directly proportional with the critics’ ratings, only to notice some mild refinements compared to your typical $10 shelf wine? It’s a very interesting question. It’s more interesting, however, how wine critics have managed to persuade the drinking masses along the years into believing what’s a good wine and what isn’t. Same thing applies to movies, music and so on. I feel the discussion is escalating a bit, so back to the study at hand. The Penn University researchers, who conducted the study, tested a group of top critics to see if they could detect the presence of a certain bitter chemical. Most of them did, compared to a trifle of the common folk, and moreover they described the experience as intensely bitter. Apparently, wine writers, winemakers and wine retailers were about 40 percent more sensitive to the bitterness than casual consumers of wine. “What we found is that the fundamental taste ability of an expert is different,” says John Hayes of Penn State. This has lead many to state that their ability is biological in nature, and thus it’s simply all a matter of some people being particularly gifted with an uncommon sense of taste. However, there are a lot of people who were keen to claim that it’s equally a matter of experience, as well. A separate study published in the American Association of Wine Economists found that there is a direct correlation between the degree of satisfaction a customer feels after buying a bottle of wine and the price payed for it. When faced with tasting unlabeled wine, however, most consumers seemed to enjoy expensive brands just as much as regular wine. The power of suggestion at works. “If you think the wine is supposed to be good, you’re going to enjoy it a lot,” Hayes said. “But to me the simplest rule in wine is if you like it, drink it,” said Hays.